Fish advocates scored a legal victory on April 16 when a federal court threw out earlier rulings that failed to consider endangered Delta smelt, an indicator species found only in the San Francisco Bay-Delta Estuary. An eleven-judge panel of the U.S. Ninth Circuit Court of Appeals unanimously ruled that the federal Bureau of Reclamation was required to consult with the U.S. Fish and Wildlife Service regarding long-term California water contracts that would impact the endangered Delta smelt. The court concluded that the Bureau’s renewal of several dozen water supply contracts that divert large quantities of water from the Bay-Delta violated the Endangered Species Act, according to a statement from Earthjustice. "The federal Bureau of Reclamation was required to engage in ... consultation because, in renewing the challenged contracts, it retained 'some discretion' to act in a manner that would benefit the delta smelt," Judge Milan Smith wrote for the panel. The court sided with Earthjustice and its clients California Trout, San Francisco Baykeeper, Friends of the River, The Bay Institute and the Natural Resources Defense Council (NRDC). Trent Orr, Earthjustice staff attorney, said, “Today’s decision strongly reinforces the requirement of the Endangered Species Act that if, the Bureau of Reclamation has any discretion in negotiating long-term water contracts to benefit a listed species, the agency must exercise that discretion to ensure that the contracts do not harm the species. The court found that the Bureau does have such discretion." "This ruling provides an opportunity to revisit these 25- and 40-year contracts and include provisions that encourage water conservation and make realistic allotments of water to protect adequate in-stream flows to restore the health of the entire Delta ecosystem," he concluded. Damien M. Schiff, attorney for the Pacific Legal Foundation, said the Foundation had filed an amicus brief arguing that the Bureau did not retain sufficient discretion to trigger the obligation to consult with the Fish & Wildlife Service on the impacts to the Delta smelt of the water contract renewals. "The Court reasoned that the Bureau still has discretion to dictate price and timing, factors which could be used to help the smelt, e.g., pricier water means less will be used means more for the smelt, or water made available only at certain times of the year when the smelt’s needs are less pressing," said Schiff. "Bottom line is that this decision will simply spread the pain of Delta smelt mitigation to more farmers and others dependent on Central Valley Project water." To read the decision here. BACKGROUND: In 2005, Earthjustice filed a lawsuit challenging a George W. Bush-era biological opinion that stated the operations of the federal and state water projects in California would have no effect on the delta smelt. At that time, the Bureau of Reclamation, which runs the Central Valley Project, was in the process of renewing long-term water contracts, based on the challenged biological opinion’s conclusion that the water projects posed no harm to the delta smelt. A United States District Judge invalidated that biological opinion as legally flawed and scientifically unsound. 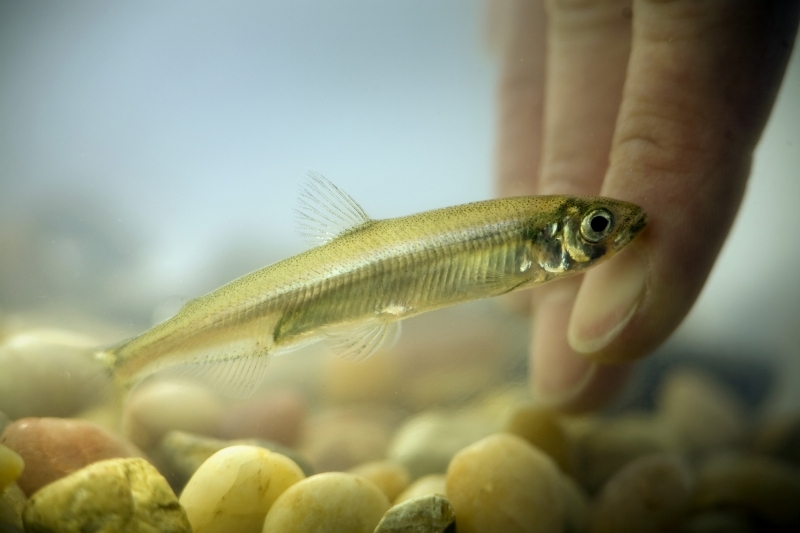 A new biological opinion on the delta smelt was approved in 2008 that found that the operations of the federal and state water project would harm the imperiled smelt and the Delta ecosystem it relies upon and required that the projects’ operations be modified to avoid that harm. In 2008, Earthjustice challenged the largest water contracts that were renewed based on the invalidated biological opinion. The challenged contracts account for over 85% of the total amount of water allocated by the renewed long-term contracts. The federal district court ruled that the Bureau had no duty to comply with the Endangered Species Act in renewing those contracts, but today the 9th Circuit overturned that ruling. "The ruling will not alter operations of the Central Valley Project or State Water Project this year, but it will provide a sorely needed reopening of the contracts to revisit their terms and make sure that they are amended as necessary to make sure that they do not jeopardize the survival and recovery of the delta smelt," according to Earthjustice.